Migraine Monologues: "Feed Me, Seymour": What comfort foods do you reach for when you have a Migraine? "Feed Me, Seymour": What comfort foods do you reach for when you have a Migraine? What comfort foods do you reach for when you have a Migraine or Headache attack? Do you follow any special eating plan? In the fabulous Howard Ashman and Alan Menken musical 'Little Shop of Horrors', the giant talking plant - Audrey II - demands to be fed (cue "Feed me, Syemour") and fed blood! Now I seriously hope no one wants blood when they have a migraine - but I can tell you I get some funny food cravings. I asked about to see what other migraineurs felt like when they had a migraine, below is a list! I've noted before that I want - what you might term - typical hangover foods when I'm coming out of a migraine, i.e starchy carbohydrate, in the Postdrome Phase. The above list shows I'm not alone (though the above list is a mix of what people craved before, during and after). A general theme is junk food though! Emma at Open Letters On Migraine, noted too that she generally craves sugary, fatty foods. Daisy, at My Migraine Memoirs confesses that she generally feels like a McDonald's McChicken Sandwich! I also, sometimes, get incredibly thirsty when a migraine is on the way - but often - during a migraine itself all I can manage is plain rice and toast, even though I'm one of the lucky few who don't vomit. Teri Robert, at migraine.com - notes that her food cravings depend entirely on the phase of the migraine attack and how nauseous she is feeling. I guess I'm the same too. 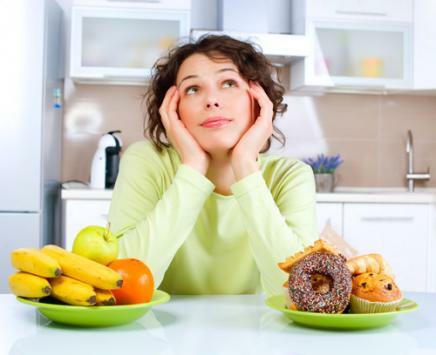 Most food cravings usually, but not always, occur during the Prodrome Phase of a migraine attack. A 2003 study of 120 Migraineurs found that %18.2 of them craved food before the attack. This is why it can be incredibly difficult to know if that chocolate you ate was the trigger to blame, or if you were simply craving sugar as you were already in the Prodrome Phase, so that chocolate was an innocent victim. The migraine was going to happen either way. Food and migraine has quite a mythical relationship. In old (and probably some current out of date) medical textbooks Red Wine and Chocolate are listed as the main migraine triggers. This is somewhat of a myth - for the reasons stated above. Obviously, there are some for whom Red Wine, cheese and chocolate may be a trigger - but the number is not nearly as large as is supposed. 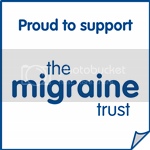 You have to work out what YOUR own personal migraine triggers are - and some may be food. Alas you have to go through a very methodical (and detailed) process of elimination if it isn't clear to you what food trigger you may have. Potential and common food triggers: include Aspartame (artificial sweetener) GSM, Gluten, Citrus Fruit, Shell Fish, Caffeine, Bananas, Cheese, Alcohol....click here and here for longer lists. But for some the above foods items listed are tonics. It's individual and we are learning more and more about triggers. What should also be noted is that LACK of food and dehydration is a major trigger. So small meals, little and often to keep blood sugar levels stable, and plenty of water - is a good idea! And although I know it's not good for me - there are two cans of full fat coke, with a yellow post-it note marked 'For migraine use only' - in the back of my cupboard. I also highly recommend having your favourite migraine comfort foods pre-prepared (even stored in the freezer) for when you'll need them. Do you follow a special 'migraine diet'? When, if at all, do you experience food cravings? What are your comfort foods? I was really surprised to read this. Before, during and after a migraine, I can't eat or drink at all. Complete lack of appetite is one of my warning signals. I even struggle to take my tablets as I don't want to drink either, I find it hard to swallow anything. On the flip side, I can't stand garlic or pasta when I have a migraine. They both make me feel more sick. 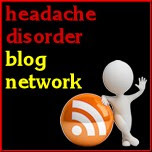 My migraines are the same both before and during! The big one is creamy and cold items. Things like yogurt and ice cream. I also crave pizza and fountain soda Coke. Sadly it has to be fountain soda coke; no Pepsi, no bottles or cans! Makes it really hard to keep it in the house, luckily my hubby will go get me one. It is good that you know some comfort food to get rid migraines. I get really hungry and really tired when I have a migraine! My go-to food is McDonald's, especially their fries and milkshake. Anything sweet and anything with tons of fat and carbs will do, though. After eating I usually feel better. Glad I am not the only one and it's not just my imagination that it helps.